In our litigious society, workplace safety should be a given; it is something that all employers should be expected to provide. In fact, most people would agree that employers have the legal and moral responsibility to provide the safest working environment possible for all employees. Some jobs are inherently hazardous, and no matter what an employer does, some accidents will still occur. Even though the workplace may never be completely safe, employers should still make a concerted effort at eliminating unnecessary hazards. Is Your Contingent Workforce More Vulnerable? Are all employees equally vulnerable to safety issues at work? Perhaps not. Companies may have less incentive to focus on safety for temporary employees. There are two likely reasons for this. Temporary employees are less likely to complain about safety issues. Members of your contingent workforce may be concerned with possible retaliation from their employer or even losing their job. Temporary employees are potentially less informed about safety regulations. Language or literacy barriers may hinder temporary employees, particularly in low skill industries. 1. Review current safety training program to check for necessary updates. Do you currently have a safety training program? Changing regulations or changing equipment could make your current safety training obsolete. Be sure to review your training materials regularly to be certain they are still current. 2. Provide weekly safety training or touch points that relay safety tips and reminders. If your workplace goes for quite a while with no injuries, your employees could get complacent, and start to forget about safety. This is exactly when accidents are most likely to happen. Safety reminders should be given at least weekly. 3. Spot-check safety by developing a protocol that checks safety knowledge and current protocols. You may be providing safety training, but are your employees retaining the information they receive? 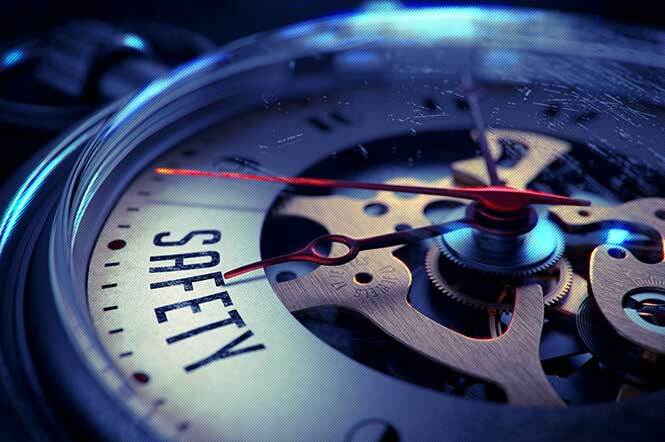 Find out by periodically quizzing your employees on safety. Be sure to include supervisors; it is particularly essential for management to know and understand the safety protocols. 4. Give employees the power to act. Contingent workforce or not, your employees are the individuals who are most likely to spot safety issues. Employees have both the right and the duty to point out safety issues. Make it known that your employees are free to report problems with no fear of reprisal. There is a good chance that not every member of your workforce speaks English. Non-English-speaking members of your contingent workforce must have safety training in their native language if they are expected to learn and retain information. If workplace safety is a concern for you, as it should be, take action today to improve safety. A safer workplace benefits everyone; a safer workplace leads to higher morale, greater productivity and reduced liability. Beyond these benefits, it is simply the right thing to do. Do not wait for an accident to happen; be proactive and intentional about safety now, before it is too late.